This week, Game Informer published their review for Super Mario Party. They described the game as something that’s fun to play. What you may not know is 18 years ago, when Game Informer reviewed Mario Party and Mario Party 2, they gave both games very negative reviews. 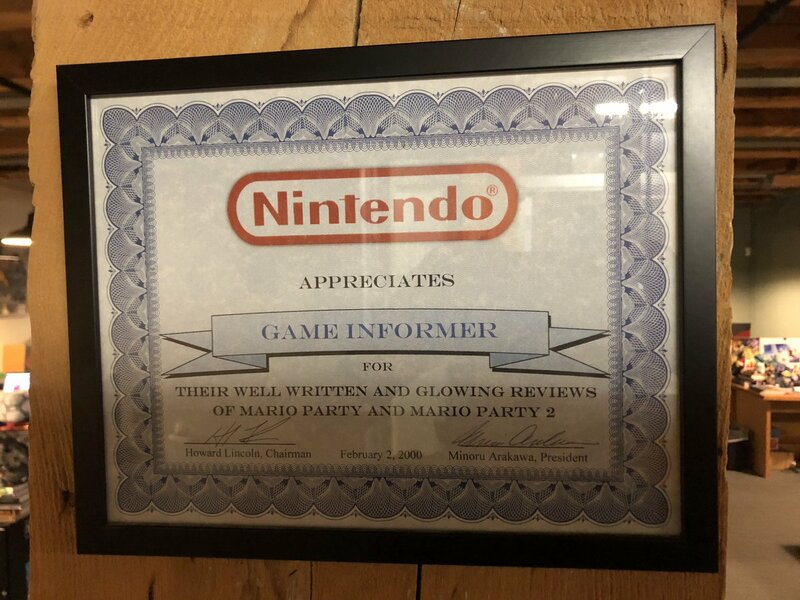 Nintendo appreciates Game Informer for their well written and glowing reviews of Mario Party and Mario Party 2. 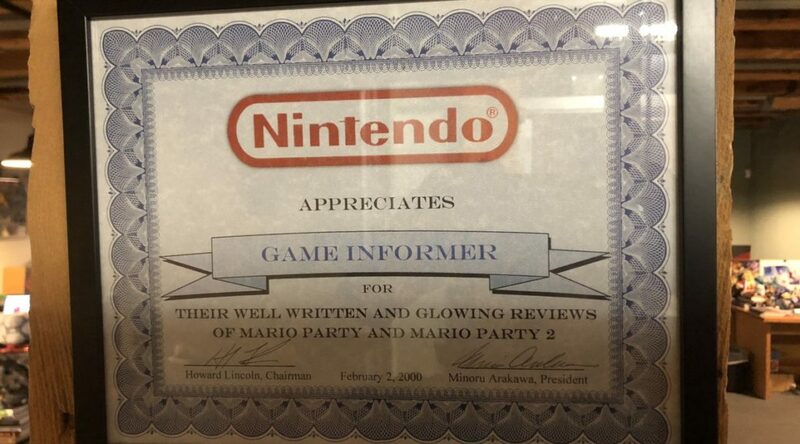 The framed poster, dated February 2, 2000, was even signed by Nintendo of America Chairman Howard Lincoln and Nintendo of America President Minoru Arakawa.